Very few vehicles can provide both a rush and a chance to unwind the way motorcycles can. Whether you’re racing with friends on the highway or going for an easy ride through your hometown on a Sunday, a chopper will allow you to either speed to your destinations on a road trip or enjoy a nice breeze under the sun that isn’t available in your truck or SUV. However, motorcycle riders are at just as much of a risk of getting into an accident as drivers of regular vehicles. The risk can sometimes be even bigger because of the lack of shielding available with being inside a car, as well as an airbag for preventing further injuries. If you’re not prepared, an accident, whether it involves just you or another motorcycle rider or car driver, can cost you a great deal physically, emotionally and financially. That’s where Lewis Law Firm comes in, as we can let you know how to recover from this dilemma. Only a few steps are required to make sure that you can heal quickly, save on expenses and experience as little trauma as possible. Here’s a guide for how you can bounce back on your chopper and return to the road. The safety of you and everyone else involved in the accident is your top priority, and the more aware of the chances of crash you are, the easier it will be to avoid and handle them if they happen. 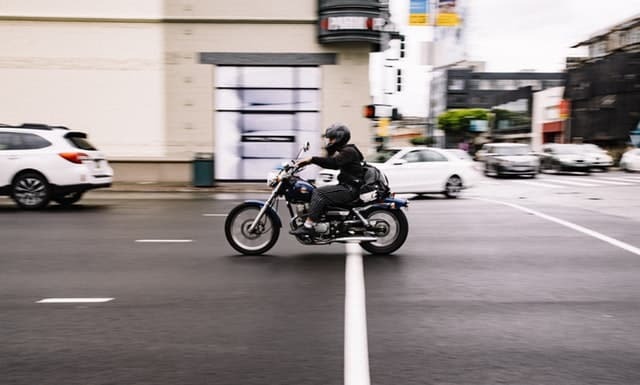 The most common reason for a motorcycle accident is how people in cars nearby are driving, such as if they turn left without a warning at an intersection, quickly change into the same lane as you, or suddenly break in front of you. Entering a corner too fast can send you flying off your bike, as can your fellow bikers if they’re driving carelessly around you. You could also be involved in a “fender bender” when you stop at a sign or light and a driver behind you hits you because they can’t stop or aren’t paying attention. If an accident occurs, you need to seek medical attention for yourself, as well as others who may have been involved. 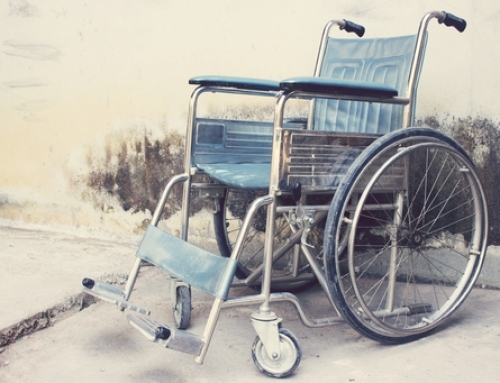 The longer you avoid getting medical care, the worse your injuries can get. Even if you don’t break any bones, a bump or small cut on your head or other parts of your body can lead to a break or infection. Concussions and internal injuries are also very common with these accidents, and the sooner you get to the hospital, the quicker you’ll be able to figure out if you have one and deal with it. After calling 911 and letting emergency services know of the accident, injuries and your location, you need to reduce further chances of danger by getting everyone and everything off the road. First, make sure that you and other people are off the road, as a motorcycle and car can always be replaced. If you are able to stand up yourself, then you should help others in a way that doesn’t further any injuries that they may already have. 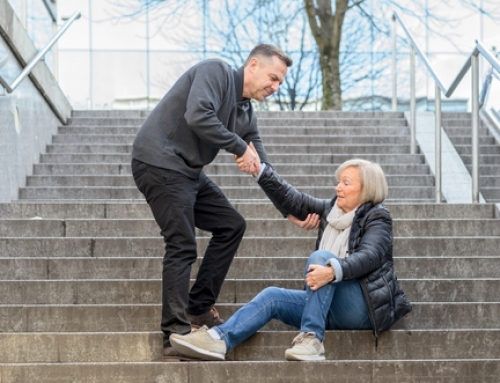 Some injuries make it necessary to keep them from moving as much as possible until medical professionals can assist them. In this case, you can use signs, cones, hazard lights, and other tools to let oncoming drivers know that there is an accident coming up and how to get around it. Putting up a warning until the police and ambulance show up, as well as making it as visible as possible, will prevent further accidents from taking place. Even if the perimeter leads to a traffic buildup, annoyed drivers shouldn’t get in the way of your ability to be in a position that keeps you out of danger. If those injured in the accident, as well as the vehicles, are already off the road, you need to set up flare lights and other ways to get the attention of emergency personnel. This will allow them to get to you and take you to the hospital sooner, which will speed up your recovery. Your ability to get better quickly and save money in the process will depend on how much information about the accident that you’ll have. First, you and everyone else involved in the accident need to exchange names, home addresses and contact information, such as phone numbers, email addresses, and fax numbers. The way we communicate has changed over the years, and some people are easier to get a hold of via email or text than others. Having different ways to communicate may also come in handy in case the other person tries to avoid contact about the situation. The make, model and year of the vehicles should also be documented, as should the drivers’ car registration, license number, and insurance information. It’s common for people to lie about accidents in order to reduce costs, so having evidence of the accident will lower your chances of having this problem. Take photos and record videos of the scene and damage, whether it’s with your phone or a camera. This will come in handy if you’re involved in a lawsuit pertaining to the accident down the line and you can show the court what actually happened. Talking to witnesses, whether they’re bystanders or other people involved in the accident, will also assure that the truth is told. Make sure to get their names and contact information to avoid confusion. Knowing whether or not you’re covered for a motorcycle accident will affect how quickly you’ll be able to recover from a broken bone or cut because of the cost of medical bills. Some companies provide specific coverage, and the accident that you get in may have an impact on your provider’s ability to help you. Accessory coverage will come in handy if any special additions to your bike are damaged, and collision insurance can help you save on recovery if the accident involved getting hit by another biker or driver. 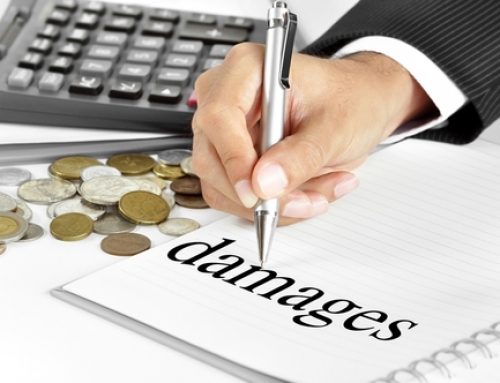 You’ll want to make sure that you have property damage liability insurance if the accident takes place on your property or someone else’s. Personal injury protection and medical payments insurance will ease the bill at the hospital, and those with little options may have access to uninsured motorist coverage. If you plan on using your motorcycle to get to another side of the state or country, then make sure that you have access to travelers’ insurance. Having a repair shop nearby, especially one that your coverage has a contract with, will help you fix up your chopper sooner. The fault in the accident can also affect how much your insurer can cover you, so you should wait until the investigation is finished before sharing such information so that all parties are aware of the facts. The number of legal issues that you’ll run into after a motorcycle accident can depend on where the accident takes place. For example, you could face trouble if you weren’t wearing a helmet or other protective equipment that is required with riding a motorcycle. Some states, including Alabama, California, and Georgia, require riders of all ages to wear helmets, but others, such as Illinois, Iowa, and New Hampshire, allow you to ride helmet-free. Be sure that your attorney can represent you for an accident that takes place in a different state. This will allow you to avoid paying costs that you’re not obligated to, as well as payments that you are entitled to if the accident and your injuries were caused by a careless driver. It also helps if your lawyer knows an attorney in the state where you were injured if your go-to guy can’t operate in that jurisdiction. That way, you’ll have someone ready to defend you and keep the case from going on longer than it should. Having evidence from the accident, such as videos and photos, will also come in handy for determining if you’re liable to or owed anything. This can be applied to damage to your bike and injuries that may have popped by up days or weeks after the accident. The rules of the state where the accident took place may have an influence on this. 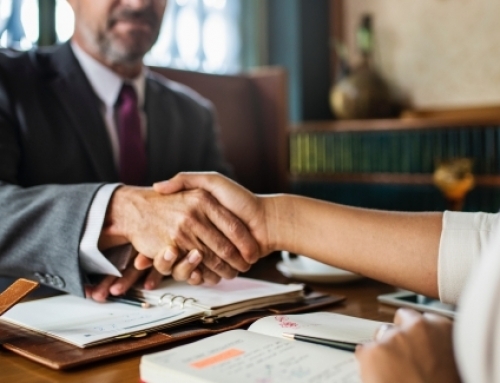 Contact Lewis Law Firm now so that you deal with the legal aspects of your accident and reduce your chances of encountering another one in the future.